Would you like to wake up in the morning feeling bright-eyed and bushy tailed, ready to tackle that to-do list? A productive day starts with a productive morning. Research shows that waking up earlier and taking proactive steps makes us happier, healthier and more successful. 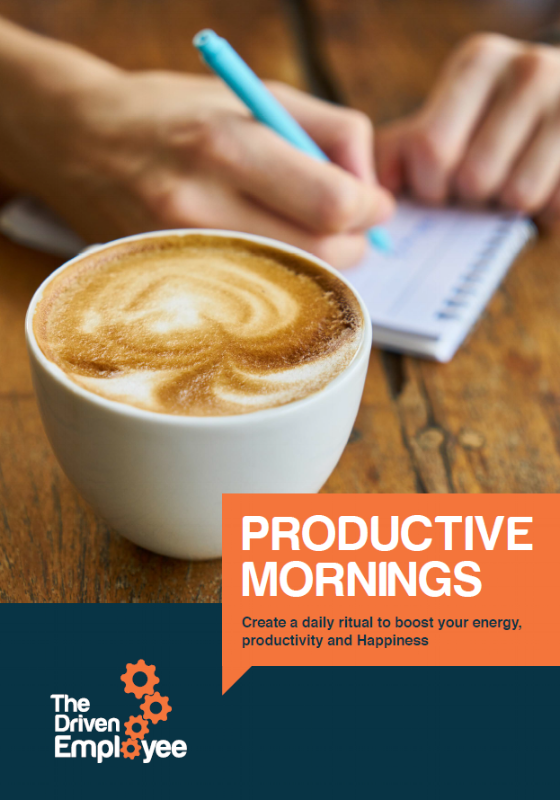 Our Productive Mornings e-book explains why early risers are happier, and how to switch from being a night-owl to a productive morning person. Here at The Driven Employee we take your privacy very seriously and will only use your personal information to provide the service that you have requested from us. We may share your details with carefully selected business partners, suppliers or sub-contractors with whom we have a service level agreement in place. We will never sell or rent your data to a third party. If you consent to us processing your details to send you The Driven Employee's email newsletter, please tick to confirm. Thank you for taking an interest in our Productive Mornings e-book, assisting you to be more productive at work. 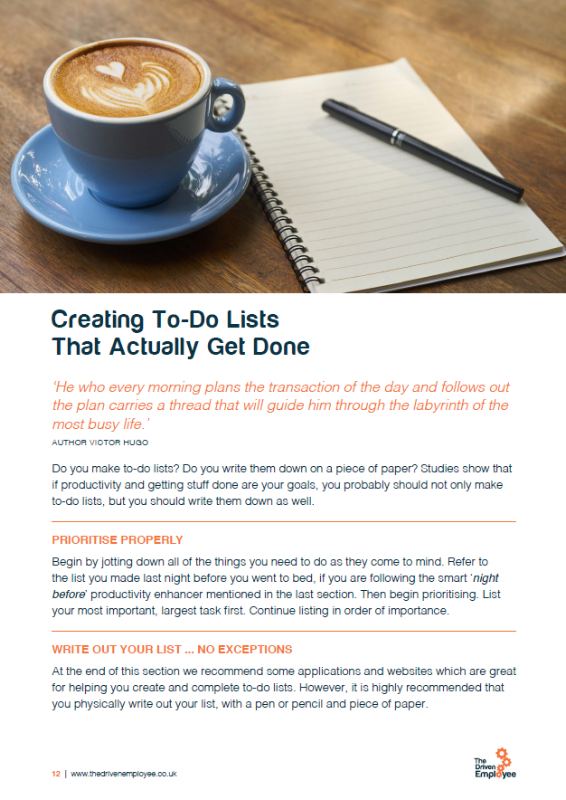 Click HERE to download the Productive Mornings e-book. 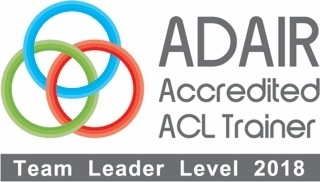 Contact us to explore how we can help your employees to become more productive in the workplace.